In our inaugural show, Karissa is joined in studio with 3rd generation Sonoma County winegrower Brad Petersen, the SCW Board Chairman and Vineyard Manager at Silver Oak Cellars & Twomey Cellars. The two of them update Steve Jaxon on what’s new with harvest and they go through a special grape cluster tasting analysis to show how vineyard managers and winemakers determine when fruit is ready to be picked. 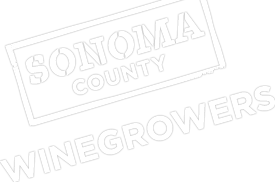 They also discussed what’s new at the Sonoma County Winegrowers, including their current Grape Camp harvest experience and participation at the upcoming Harvest Fair.